Two Darien police officers face charges brought by Connecticut State Police stemming from gunshots fired outside the home of one of the officers in Darien at the beginning of August. James Martin, 41, of Wakeman Road, Darien, and Daniel Ehret, 38, of Middlesex Road, Darien, were both charged with second-degree breach of peace, second-degree unlawful discharge of a firearm, and reckless endangerment, Darien Police Chief Duane Lovello confirmed in a statement issued Tuesday night. 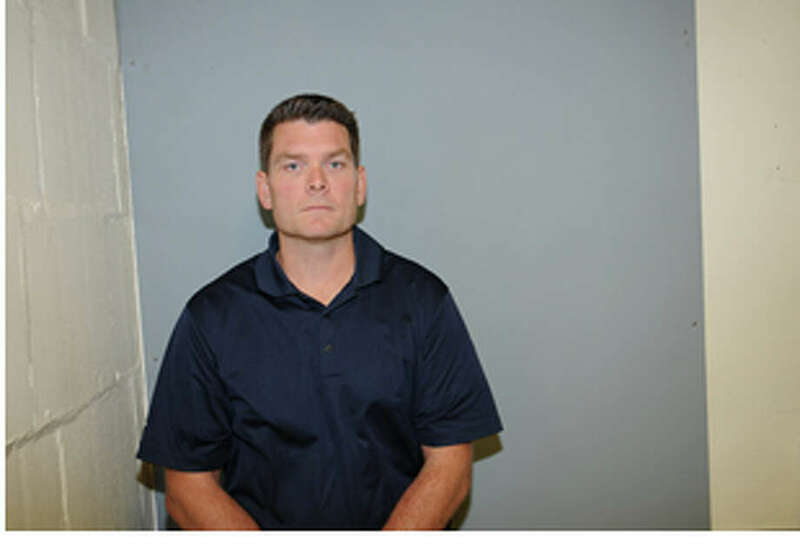 They turned themselves in on a warrant to Connecticut State Police Troop I in Bethany and released on $5,000 bonds and are slated to appear in state Superior Court in Stamford Oct. 19, according to state police. Few details about the incident were available Tuesday night, but an unoccupied vehicle parked in the driveway of Martin’s home sustained numerous gunshots to its exterior, according to Connecticut State Police. A statement issued by Lovello on Tuesday night called the allegations involved “disturbing” and said both men had been placed on administrative leave with pay the day after the incident occurred. 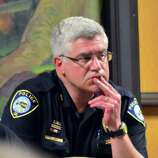 Darien police turned the investigation over to Connecticut State Police to avoid questions about the investigation’s integrity, Lovello’s statement said. Both men are 10-year veterans of the department, according to Lovello, who referred additional questions about the arrest and investigation to the Connecticut State Police.